To celebrate the happiest time of the year (the beginning of school), I am going to give away a few books on Reading Acts. I gave Jake Bodet (@JakeBodet) a copy of The World of the New Testament: Cultural, Social, and Historical Contexts (Grand Rapids. Mich.: Baker Academic, 2013) edited by Joel B. Green and Lee Martin McDonald. This book is a brand new hardback and is my own copy. The only caveat is that the book has a different slip jacket than the picture above. I think it is the Paternoster (British) printing rather than the North American Zondervan printing. I cannot see any other differences. I bought the book not realizing I already had the Zondervan edition, so my bad memory is your gain. Same rules as last week: Enter by leaving a comment telling me which essay you will read first. On Tuesday September 8 I will randomly select one comment and ship the book out to the lucky winner. If you leave more than one comment, I will only count one comment per person for the contest. The Hermeneutical Dynamics of ‘Reading Luke’ as Interpretation, Reflection, and Formation. Learning Theological Interpretation from Luke. The Purpose of Luke-Acts: Israel’s Story in the Context of the Roman Empire. Preparing the Way of the Lord: Introducing and Interpreting Luke’s Narrative: A Response to David Wenham. Reading Luke’s Gospel as Ancient Hellenistic Narrative: Luke’s Narrative Plan of Israel’s Suffering Messiah as God’s Saving Plan for the World. Political and Eschatological Language in Luke. The Role of Money and Possessions in the Parable of the Prodigal Son (Luke 15:11–32): A Test Case. Reading Luke, Hearing Jesus, Understanding God: Reflection on Hermeneutical Issues in Response to John Nolland. A Critical Examination of David Bosch’s Missional Reading of Luke. 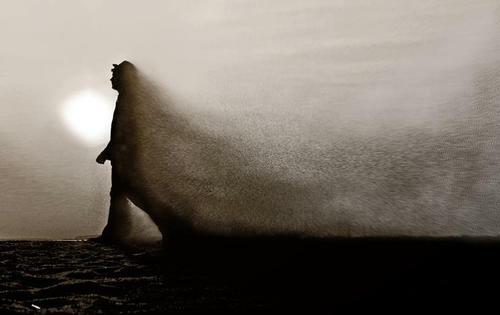 Luke and the Spirit: Renewing Theological Interpretation of Biblical Pneumatology. Kingdom and Church in Luke-Acts From Davidic Christology to Kingdom Ecclesiology. A Canonical Approach to Interpreting Luke. The Journey Motif as a Hermeneutical Key. Prayer in/and the Drama of Redemption in Luke: Prayer and Exegetical Performance. The Reception and Use of the Gospel of Luke to the Second Century. Illuminating Luke: The Third Gospel as Italian Renaissance and Baroque Painting. Today is the day I pick a winner for a new copy of The World of the New Testament (Baker, 2013). The context opened a week ago, and 43 people signed up (there were more comments, but I allowed only one entry per person). I took each of your names, sorted randomly and then pasted them into Excel. Random.org gave me a number between 1-43, and the winner is…..
Congrats to Jake, please contact me via email (plong42 at gmail .com) with your mailing address and I will whip the book to you ASAP. Better luck next time for the rest of you, I will launch the second of three “end of summer” book give-aways later today. NB: This book was my own personal copy; it was not provided by the publisher. This is the last call for links for the August Biblioblog Carnival hosted by Bob MacDonald (@drmacdonald). I know Bob has been busy all month collecting the best contributions to biblical studies and theology on the web in August, but he can always use your help. Feel free to send him your suggestions soon, on September 1 he will post his Carnival. 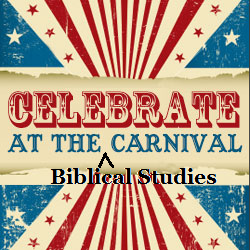 William Brown and The Biblical Review (@willhartbrown) is hosting the September carnival. Would you like to host a Biblioblog Carnival? Please email me (plong42 at gmail.com) and pick your month. I have a few spots open this year, and I am starting to fill in months for 2016 already. I would love to see some previous hosts return, but new blogs are encouraged as well. Even though he questioned the value of his innocence, the writer’s perspective is changed when he entered into worship. The wicked are not as prosperous has he once thought (73:18-20). The writer knew his feet were in danger of slipping when he became envious, but the wicked are in a slippery place as well, in ignorance! 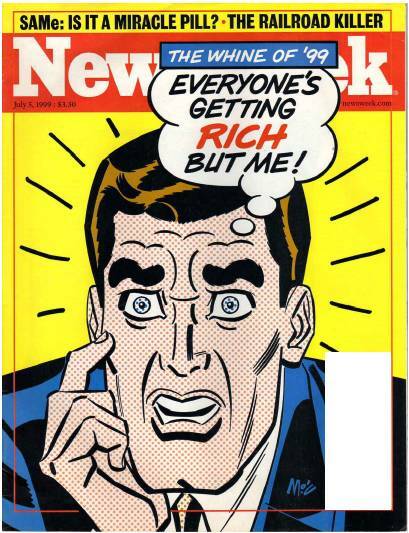 Because they trust in their wealth and power, they are in the most insecure place imaginable. The prosperity of the wicked is compared to a dream. It is not real and substantive, it is merely a vapor which will pass away when morning comes. The wicked are “unreal” or even naturally unstable, liable to fall at any moment. We might think it strange that this new perspective might come out of a worship experience since we do not really sing worship songs about the damning of the wicked. This is true in the psalms, however. Assuming the writer did engage in the liturgy of the temple, then there is a strong possibility that he would have sung some of the Psalms which reminded him that God is a righteous judge and would punish the wicked. The writer’s change in perspective is also seen in his self-evaluation (73:21-24). Like most people who have “come to their senses,” he feels a bit foolish. he calls himself senseless (only in Pss 49:11, 73:22, 92:7, Prov 12:1, 30:2, parallel to foolish, etc. ), he compares himself to an animal which has no reason or wisdom at all. In saying this, he is not deprecating himself out of a false humility. Worship has taught him what he really is (a child of God) and his understanding of the way things really are in this world will be driven by that worship experience. He recognizes that God is always with him, holding his hand as a parent with a small child. The reason a small child can walk or play with confidence is the knowledge that the parent is nearby and watching over them. The psalmist is describing himself as a small child who simply needed to be reminded that his loving parent is keeping watch nearby. This is a child-like faith, but it is not a simple, unquestioning faith. In this psalm the writer has expressed very grave doubts about God’s justice in the world, perhaps even the ability of God to keep his promises. He has critically evaluated both the world and his faith, and returned to an honest faith in the God who is very near. The writer’s commitment to God is based on God’s presence in his life. He is always with me, he is near. This is an expression of God’s persistence. The image of a young child is particularly good because a parent has to work pretty hard to watch over a child all of the time. A parent must be persistent, since the moment you let your guard down there is going to be crayon on a wall or a spoon in the light socket. This also expresses God’s sufficiency. God is all that the writer needs; as it turns out, he does not need to envy the prosperity of the wicked since God has given him all that he needs, he is able to be completely satisfied in the presence of God. What more on earth could there be to satisfy me compared to true fellowship with God? As it turns out, the proverb in 73:1 is correct. The one who is pure in heart is near to God, the external circumstances of the individual do not matter, whether they are wealthy or in poverty, whether they are in good health or suffering greatly. True shalom, the peace which the covenant speaks of, is to be found in nearness to God and only in nearness to God. Conversely, it is a fearful thing to be far from God, as are the wicked. Their apparent prosperity in the present time is nothing, it is in fact not real prosperity at all. Ironically, in the end, misery is to be far from God, while true shalom is to be near to God. Like Job and Jeremiah, the writer of Psalm 73 wonders if there is any value to being “pure in heart.” This should not be understood as arrogance, the writer has done what he believes to be all that he can to approach God in the proper way. He claims to be both pure and innocent. If the proverb in 73:1 is true, then the person with a pure heart ought to be the most blessed because the Lord is near. He says he has “washed his hands in innocence.” This probably alludes to proper ritual purity. He has followed the rituals as commanded and is able to wash his hands, declaring his innocence. Compare the Psalmist’s claim to be innocent to Psalm 26:6 and Isaiah 1:15-16. In both cases, the writer is simply expresses his belief that he has done what God wanted him to do, he believes that he is “near” to the Lord. 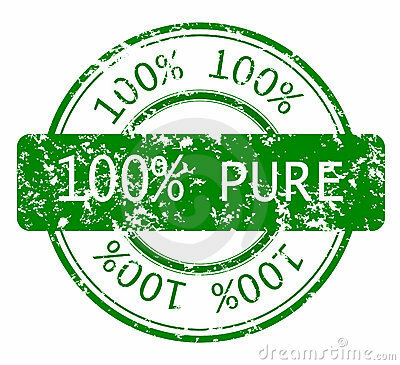 It is possible to see this as an extremely self-centered prayer – “Why was I pure? What did it profit me to behave this way throughout my life, if the end is to suffer in silence while the wicked prosper?” Derek Kidner described this psalm as “pathetically self-centered” (Psalms, 260). This is the attitude of the older brother in the prodigal son story, and it is possible it is a thought many of us have had, although we may not allow it to rise to the surface too often for fear of our response! The writer has a legitimate question. Despite being pure, he is plagued and punished daily. Both of these words are associated with judgment. To be plagued is often a violent punishment, the second word is nearly always used for correction or reprimand. The writer is basically saying, “if I am pure in heart and ceremonially pure as well, why am I being punished every day?” Either the writer is not as near to God as he thinks (and the proverb is true), or God is not near to those who are pure in heart after all, and the proverb is false. He knows if expresses his doubt, he will betray the “children of God.” This is perhaps a hint that the writer is in some sort of leadership role, others are looking to him for answers, how he expresses his doubts will have an effect on the children of God who come to him for spiritual guidance. It is not wrong to wonder and question, it is wrong to cause others to sin. The writer is therefore struggling with his doubt that the covenant actually works, that being pure in heart has any value at all, and he is wondering seriously if it might not be a better idea to live a life of arrogant wickedness if there is not value to his purity. This human attempt to understand God’s working in the world is radically changed when he entered into worship – he began to focus on God and God alone. In doing so, he saw his suffering and the prosperity of the wicked from a different angle altogether, but he also saw his own suffering from God’s viewpoint as well. The fact that our writer enters into the temple to worship ought to be at least some confirmation that he does have a pure heart and innocent hands, since these are the requirement for approaching God’s holy hill (Ps. 24, again). Genuine Worship is therefore critical to our understand of God and his relationship with the world. The psalmist confesses he has envied the wicked because of their prosperity (73:2-3). In doing so, the writer expresses what many people are afraid to admit, he is honest before God in a way which distresses the ordinary Christian. This embarrassing openness allows us to explore the issue of the prosperity of the wicked. The reason for this doubt is envy, or jealousy of the wicked. Envy and jealously really do not need to be described since they are so common in human interaction. Frequently in the Bible envy ends up in violence. Envy of the wicked is also a common theme in the wisdom literature; the wise person does not envy the wicked, nothing good can come of envy (Ps 37:1, Pr 3:31, 23:17, 24:19). The focus of his envy is the “prosperity of the wicked.” The word for prosperity in this verse is shalom, commonly used for peace, but the word covers a wide range of meaning. It is a word which describes things as they are intended to be. It is not just that the wicked have made money and bought large houses for themselves while the psalmist is poor and lives in a hut – the wicked person is in a state of shalom, a state which he believes is not proper. The writer ought to be in the state of shalom, not the arrogant, wicked person. When the psalmist describes the wicked, his point is that these are not the sort of people who ought not be enjoying a state of shalom at all. Each line might be expanded with parallels to the psalms and proverbs, but the following summarizes the description. The wicked do not suffer. The word in verse 4 translated “struggles” by the NIV is rare, used here and in Isaiah 58:6 where it has the connotation of injustice. The wicked do not experience the sort of hassles that the righteous seem to face daily. The next line refers to physical suffering. Verse 12 describes them as “at ease,” a word some commentators translate as “always in luck” (See wlec;, HALOT). The wicked are arrogant. “Pride as a necklace” is in contrast to Proverbs, where wisdom ought to be worn as an ornament. The whole section gives the impression of bombast (the word for pride in verse six is “roaring” like the sea.) All of their thoughts are wicked because their hearts are wicked. The wicked mock God’s knowledge. These people do not deny God’s existence (noon in biblical times was an atheist), but they deny the God of the covenant knows about what they are doing. It is as if they know what they do breaks the covenant but they think that they are outside of God’s view. This is something like a child who thinks they can get away with something because their parents are not watching them at the moment. So is the proverb in 73:1 true? Experience seems to say the proverb is not true at all, verses 2-12 demonstrate that the wicked prosper despite being far from God. If this is true, what about the one with a pure heart? Why even bother with the effort of maintaining a “pure heart” if it results in punishment rather than prosperity? To celebrate the happiest time of the year (the beginning of school), I am going to give away a few books on Reading Acts. First up is The World of the New Testament: Cultural, Social, and Historical Contexts (Grand Rapids. Mich.: Baker Academic, 2013) edited by Joel B. Green and Lee Martin McDonald. This 640-page hardback collects 44 essays on various background issues. Larry Hurtado said this is “a valuable volume, especially for students and general readers but also for scholars who want to catch up on any of the topics included.” As you can see from the Table of Contents below, there are some excellent writers in the volume. This book is brand new and is my own copy. To enter, simply leave a comment on this thread and tell me which essay you would most likely to read first if you win the book. I will generate a winner at random and announce that winner on August 31. Good luck!